Video games are more ubiquitous than ever. The value of the global market is forecast to reach $137.9bn (€118.4bn) by the end of 2018, representing a growth rate of 13.3 percent year on year. The rise of smartphones has meant players can now tackle puzzles and score points whenever they have a spare moment. Games are also entering the world of work. While you are still likely to receive a telling off from HR if you’re found trying to beat your Fruit Ninja high score in the office, game mechanics are being explored in business software as a way of improving engagement and boosting productivity. The approach has been dubbed ‘gamification’ and uses leaderboards, points and other rewards to incentivise performance. It’s true that, to some extent, gamification sounds like yet another buzzword destined for the corporate trash heap – and for businesses that jump on this particular bandwagon without giving it much thought, this is likely to be true. However, gamification has shown itself to be more than just a flash in the pan. The term first entered the corporate vernacular in 2010 and continues to be championed by multinational giants and smaller start-ups alike. Its staying power indicates it is a concept providing tangible benefits for some – even if not all – businesses. The use of game-like features primarily aims to solve the problem of workplace motivation. Although the need to put food on the table is usually enough to encourage people to turn up to work, it doesn’t necessarily mean their performance levels will be at their highest. If the introduction of game mechanics can successfully boost employee motivation, it could be worth millions to the global economy. The challenge for businesses is how to implement such tactics without being dismissed as just another gimmick. The benefit of applying game mechanics to real-world situations has a great deal of psychological support. By rewarding players – either by scoring points, earning badges or simply providing a sense of achievement – gaming is a hugely engaging activity. According to Caroleigh Deneen, UX Designer, Information Architect and Gamification Consultant at SAP, this is something that hasn’t gone unnoticed in the corporate world. “The idea is to take something that isn’t a game and make it more fun and engaging by integrating motivators like those used in games,” Deneen told European CEO. Businesses have long searched for ways to boost engagement in the workplace, with varying degrees of success. According to Gallup’s 2017 State of the Global Workplace report, 85 percent of employees are either ‘not engaged’ or ‘actively disengaged’ at work. When this is coupled with the fact 70 percent of business transformation programmes fail due to insufficient employee engagement, it adds up to a huge number of companies operating below their full potential. While gaming at work may seem like something of a contradiction, humans generally perform better when they are enjoying themselves. The fact that playing video games can stimulate the release of dopamine – the neurotransmitter that controls pleasure and motivation – has long been known. So, if gamification can make employees have fun while carrying out menial tasks, then it could result in increased productivity and a subsequent revenue boost. Of course, gamification is not about shoehorning a video game into your employees’ daily grind. As Deneen admits: “Customers and employees are too smart for gimmicks.” Still, when implemented properly, game mechanics can promote creativity within previously mundane tasks, provide employers with performance feedback and even help members of staff acquire new skills. 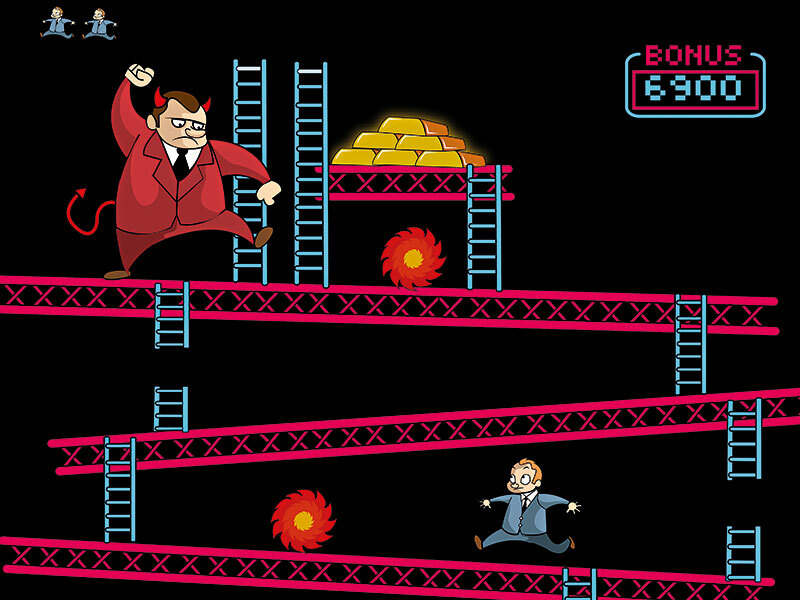 In the competitive corporate world, gamification has become another tool for businesses to outpace their rivals. It’s for this reason industries as diverse as pharmaceuticals and retail have begun to implement the concept. In fact, by 2022, the global gamification market is predicted to be worth $22.9bn (€19.5bn). While there’s a wide range of business areas that stand to benefit from gamification, sales and marketing teams often prove the most compelling examples. In 2015, hospitality chain Marriott International decided to introduce gaming elements to help encourage front-office staff to enrol more guests onto the Marriott Rewards loyalty scheme. The programme utilised a private digital platform, which allowed staff to create teams and compete against other hotels within their region. Bespoke challenges were created, and a continually updated feed encouraged employees to give praise to high performers. The best teams were then rewarded with a range of prizes in recognition of their good work. Although it can often be difficult to quantify the benefits of gamification, in this case, the results were convincing: more than 400 hotels, spread across four regions, exceeded their enrolment goals by 10 percent. The recruitment and HR space is another area benefitting from the use of game mechanics. Cognisess, a predictive analytics company that has worked with clients including Volkswagen, AB InBev and Havas Media, uses gamification to help improve employee onboarding, retention and talent management. While traditional recruitment methods, such as sifting through hundreds of CVs, can be costly and inefficient, using game mechanics to assess candidate suitability provides added accountability. It means HR managers don’t have to go off a hunch – they have data to support their decisions. When gamification is combined with machine learning and artificial intelligence, it provides businesses with a powerful tool for assessing employee performance. Long-term trends can be identified that show why some teams are functioning more effectively than others and why good members of staff choose to leave. Not too long ago, video games were considered a solitary pursuit; the image of a loner sitting glued to their screen for hours on end was a common one. But times have changed: with the rise of online gaming, voice chat and cooperative titles, the stereotypical depiction of the ‘gamer’ has been eroded. Today, many video games encourage both competition and collaboration, and this is being reflected in corporate gamification efforts. The introduction of game-like features that incentivise teamwork, flexibility, collective effort and the alignment of individual abilities and personalities has become increasingly commonplace. At SAP, for example, a community reputation programme uses game mechanics to foster regular participation, deliver ongoing feedback and encourage discussion. Participants are set missions, receive badges and accumulate ‘karma credits’ for their quality contributions. The competitive element of playing games is another way businesses are motivating their employees. Of course, this starts with self-competition, where members of staff are encouraged to continually improve their own performance. However, a bit of friendly competition between colleagues can also provide an effective way of engaging a company’s workforce. Even something as simple as an employee leaderboard can boost performance. In the wrong environment, however, it can also prove problematic. In 2013, US pharmacy firm Omnicare introduced a staff leaderboard in an effort to reduce customer service wait times. Instead of creating a friendly, competitive environment, employees felt as though they were being monitored too strictly, causing response times to increase and even leading to a number of staff departures. The challenge for businesses, therefore, is twofold: companies must first determine whether gamification is right for the kind of work they carry out, and then figure out how best to introduce it. As Scott Nicholson, Professor of Game Design at Wilfrid Laurier University in Canada, explained, gamification may not only be ineffective, it can actually be “harmful to motivation if used incorrectly”. One of the reasons that gamification has not achieved wider adoption is because businesses remain sceptical of its merits – a view that is reinforced by a number of poorly implemented gamified corporate apps. In fact, there is a growing body of research that suggests using rewards to motivate people – one of the key features of many gamified programmes – can actually lead to inferior results. The extrinsic motivation created by the offer of rewards, whether it’s a bigger wage packet or a shiny trophy, is not always effective, particularly in the long term. While this approach has been found to incentivise staff to complete routine tasks quicker, it has proved stifling when creativity is required. Instead of having an open mind to think of the most innovative solutions, the thought of winning becomes all-encompassing. What’s more, rewards can damage intrinsic motivation. The end result is that when rewards are removed, motivation drops to a lower level than before the gamification layer was added. Perhaps even more worryingly, rewards lose their potency over time and need to constantly grow in order to keep employees engaged. This isn’t what most companies had in mind when they started exploring game mechanics in the workplace. “There’s a reason why you haven’t seen studies on the long-term benefits of things like Fitbit and other gamified fitness tools,” Nicholson said. “How many of them actually made a difference in the long term? How many summer reading programmes turned kids into readers by rewarding them for reading quantities of books? How many grading systems inspired lifelong learning, as opposed to a disdain for doing anything that ‘wasn’t on the test’? Companies may also be concerned that even if gamification is delivering the desired results, proving it is not always easy. As Deneen noted: “Return on investment can be hard to evaluate because some of the behaviours influenced are only indirectly tied to revenue or costs.” Saying with certainty that gamification is the cause behind higher levels of engagement and therefore revenue, for example, is a challenge. Although measuring the impact of a gamification programme is relatively straightforward if it relates to sales, for other business areas, the effect may be indirect and the associated revenues or cost savings may take place on an entirely different platform or in a different context. When this is added to the fact some corporate leaders remain sceptical about placing work alongside play, it is understandable if not every organisation is convinced by gamification. 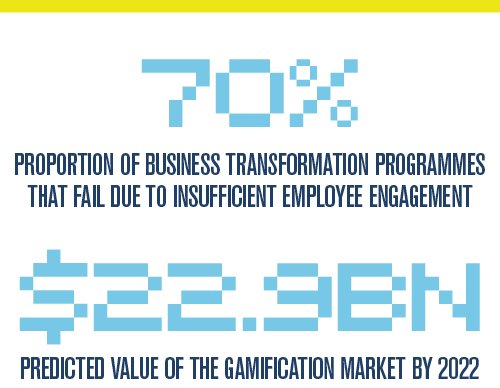 If gamification is to prove its doubters wrong, then businesses must take greater care before introducing the concept. First of all, organisations need to commit resources to analysing the business areas that could stand to benefit from game mechanics. Introducing gamification on a whim, simply because other companies are doing so, is a waste of time and money. Businesses should also ensure they have the right company culture in place before they explore game-like applications in the workplace. Organisations that are open-minded towards new ideas are likely to benefit, but businesses already existing within a high-pressure environment should be wary of bringing another competitive element into their employees’ lives. And while it may sound obvious, it is important that newly introduced game elements are actually fun. In order to achieve this, businesses need to think creatively about the ways they use gamification. Surreal Studios, for example, employs augmented-reality games to give networking events a more relaxed atmosphere, leading to improved discussion and idea sharing. Conversely, simply promising your administrative employees a certificate for the fastest worker won’t actually make their duties any more engaging. Most importantly of all, gamification efforts must focus on developing intrinsic motivation within employees rather than just concentrating on extrinsic rewards. In practice, this is difficult because intrinsic motivations are often deep-rooted and psychological. They are driven by a person’s innate desire to explore, learn and realise their full potential – not points on a league table. One way for businesses to tap into these intrinsic motivations is by ensuring that corporate objectives do not become the main focus of their gamification proposals. 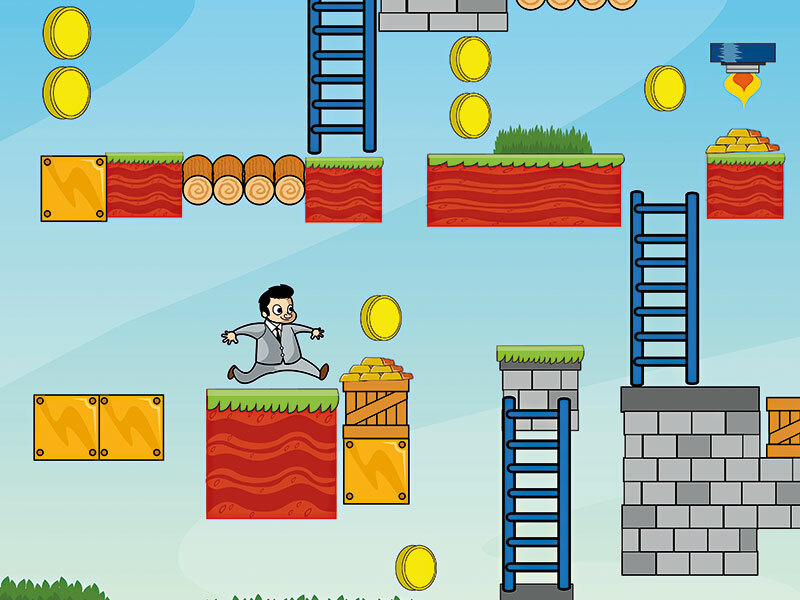 Corporate gamification could also look to the consumer video game industry for further inspiration. When the industry was in its infancy in the 1980s, the majority of titles were limited by rudimentary controls and meagre (by modern standards) processing power. They were fun, but they were also simple. Today, high-profile games have often moved away from points scoring and instead focus on creating compelling narratives that keep players hooked. This approach has received little focus in the field of gamification despite having the potential to boost employee engagement on a deeper level. The promise of improved workplace motivation may convince some businesses to adopt gamification, but others will require more concrete assurances. Fortunately, gamified applications are increasingly using data and analytics to provide evidence of a return on investment. Conversion tracking, customer relationship management software and sentiment analysis tools are being deployed to measure direct and indirect returns. As this trend develops further, it is likely that more and more businesses will adopt gamification as a way of improving their bottom line. In the offices of the future, employees shouldn’t be surprised if they are asked to not only work hard, but play hard, too. Measuring success – are we looking at the right metrics?